Eco-Babyz: Dropps now available at Target & a giveaway! 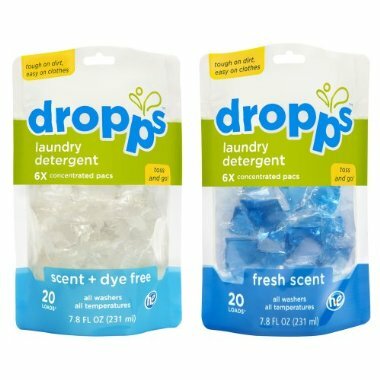 Dropps now available at Target & a giveaway! Do you remember our Dropps Baby detergent review back in April? We love the convenience and the fact that it is non-toxic. We're excited to announce that Dropps will now be available at Target stores nationwide in Fresh Scent and Scent + Dye Free. Why you want to try these: Dropps has a non-toxic formula and though it is tough on dirt, it will be gentle on your clothing and skin. What can be easier than tossing a pre-measured little pack into the wash? No jugs, no spills, no mess. It dissolves instantly and leaves all the jugs jealous. Not to mention the concentrated formula and minimal packaging will kick all those heavy, wasteful jugs in the rear. To celebrate, Dropps is giving away a one month supply (42 loads) of Dropps to one Eco-Babyz reader! MANDATORY ENTRY: Visit the Dropps website and tell us something you've learned. Contest ends at 11:59 pm on Thursday, November 4th 2010. Winner will be selected using Random.org and contacted via email. Open to US residents 18+. PS: I had to repost this as a new post because of page loading issues, but don't worry, if you already entered your entries will be counted. I can no longer ask for votes on Top Mommy Blogs as an entry, but you CAN rate my blog there and leave a comment! I voted for you on We're on the Fence. I learned I can buy these near me at Randall's! Dropps laundry detergent pacs contain an innovative formula with a split personality: tough on dirt, but easy on your favorite garments. It's HE compatible! Thats a plus!! Rated you on top mommy blogs! Love that the packaging leaves a smaller recycling footprint and no waste - the little packs dissolve in your wash.
DROPPS INSN'T LOADED W/FABRIC SOFTENER AND IT DOES NOT LEAVE A RESIDUE ON YOUR CLEAN CLOTHES. I learned Dropps are safe for HE washing machines too! Like you on Facebook and left a comment: Michelle H.
Liked Dropps on Facebook and left a comment about the Eco-Babyz giveaway: Michelle H.
bright, from lights to darks to hot pinks. Learned that the packaging leaves a smaller recycling footprint and no waste - the little packs dissolve in your wash. I learned the packs dissolve right in the wash! I like Dropps on FB - Janet Fri and I left the message. I voted on Picket Fence Blog. Awesome contest! Thanks for entering me! I learned that three local stores carry this product. Visited the Dropps site. They are free of enzymes and dyes, so safe for my cloth diapers! I liked Eco Babyz on facebook! I liked Dropps on Facebook!! I am signed up for the Dropps newsletter!! Love them! Dropps are safe for HE machines. Daily - I voted on Top Baby Blogs. 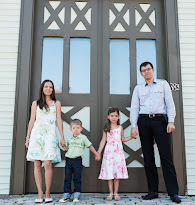 Daily - I voted on Picket Fence Blog. I found it interesting that they have to mention that the packet should be placed in the machine with the clothes and not in the dispenser. That seemed like a no-brainer to me, but apparently not to everyone! I didn't know that when my clothes were softened they can't breathe and hence wear down faster! It doesn't leave a residue on your clothes. I learned that Dropps are HE compatable. I Like Eco-Babyz on Facebook and posted on the wall that I entered this giveaway. I Like Dropps on facebook and posted on the wall that you sent me. mandatory entry: As I try to "clean up" my laundry act to accommodate cloth diapers, I like that they have an enzyme-free Baby version! I learned that Dropps also has a Baby Formula laundry detergent. I am a Dropps newsletter subscriber as jweezie43[at]gmail[dot]com. I am a fan via Facebook as Jill Myrick and have left a comment. I am a fan of Dropps via Facebook as Jill Myrick and have left a comment that you sent me. I am following Dropps via Twitter as jlsc123. I'm so happy to learn that Dropps are biodegradable! I learned that Dropps are safe for all fabrics, colors, temps, and washers! it's tough on dirt, but easy on your favorite garments. They say they are tough on dirt and gentle on fabric. I learned that the Dropps formula is enzyme-free so your clothes stay soft and last longer. I subscribe to the Dropps newsletter. I am an Eco-Babyz e-mail subscriber. I voted for you at Top Baby Blogs. i learned that the drops are tough on dirt, but gentle on your cloths. I learned that they're more eco-friendly than buying bottles of detergent. I learned I can find Dropps at two Target stores near me. I signed up for the Dropps newsletter. Thanks for the giveaway...Dropps uses an enzyme-free formula that does not leave a detergent residue on your clothes' fabrics that otherwise may weaken / break down fibers prematurely.